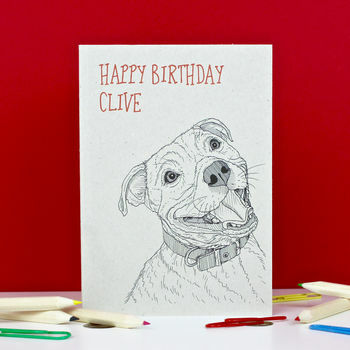 An original birthday card with a Staffordshire Bull Terrier which can be personalised with the dog's name. Each card is hand made to order. The card uses eco friendly recycled materials and is A6 size (10.5cm by 14.5cm).